Rockies Five Star Lick is an apple-flavoured, calorie & molasses free lick, containing optimum amounts of vitamins, minerals & trace elements, to help keep your horse in great condition all year round. It is produced in the UK, from Cheshire salt. 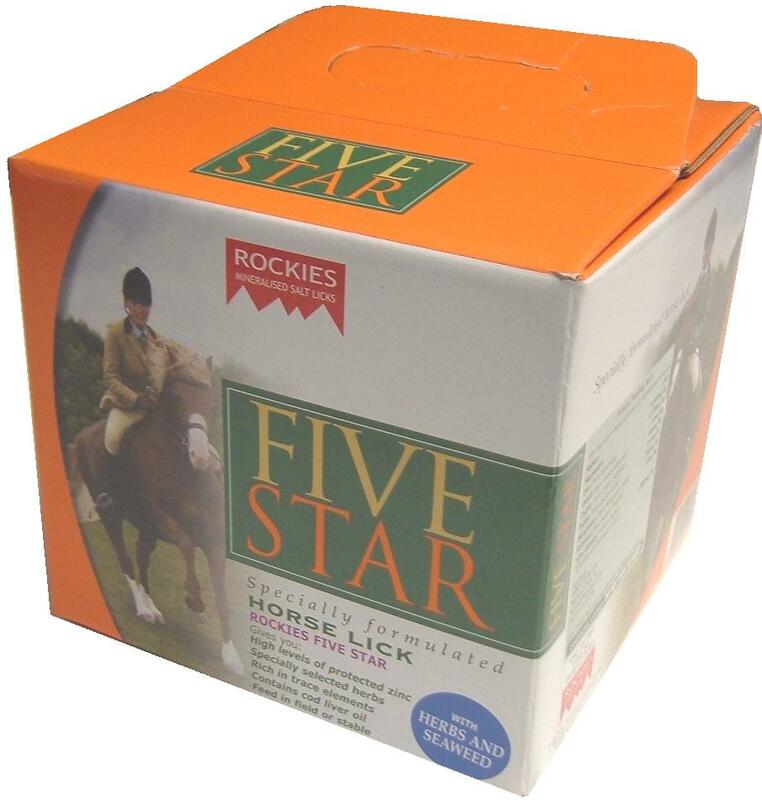 Rockies Five Star can be fed to all types of horses, whether kept at grass or stabled. Rockies Five Star contains fenugreek, rosehip, seaweed & cod liver oil, with essential trace elements such as Zinc; Iron; Calcium; Magnesium; Sulphur; Phosphorous; Copper; Manganese; Iodine; Selenium & Cobalt.